The incident happened Monday night as the seasonal ferry was on its way from Frye Island to Raymond. A man was rescued Monday night after his car, apparently left in gear, went off the Frye Island ferry and into Sebago Lake. Dennis Feeney, 64, of Westbrook drove onto the car ferry but failed to put his vehicle in park, Capt. Scott Stewart of the Cumberland County Sheriff’s Office said in a statement late Monday night. Feeney’s 2016 Mercedes-Benz went forward, off the ferry and into Sebago Lake. The car sank, but Fenney swam to the surface. His two dogs did not survive. A dispatcher for the Cumberland County Communications Center said Feeney was not seriously injured but did have to be helped out of the lake. The dispatcher said that fire crews dried the man off and warmed him up. Feeney was evaluated by a Raymond Rescue crew and later taken to Mercy Hospital in Portland, according to Stewart. Stewart said an effort will be made Tuesday during daylight hours to recover the vehicle from the lake, which is a source of drinking water for Portland and several other Greater Portland communities. Stewart said the ferry was on the Frye Island side of the ferry run and was transporting vehicles back to the mainland when the incident occurred around 8:15 p.m. The ferry, which was leaving Frye Island at the time, was bound for the Raymond town landing. The ferry service operates on a daily basis from May through November. A typical round trip from the mainland takes about 15 minutes. The Cumberland County Sheriff’s Office and Maine Warden Service are investigating the incident. Frye Island is on Sebago Lake and became a town in 1998. 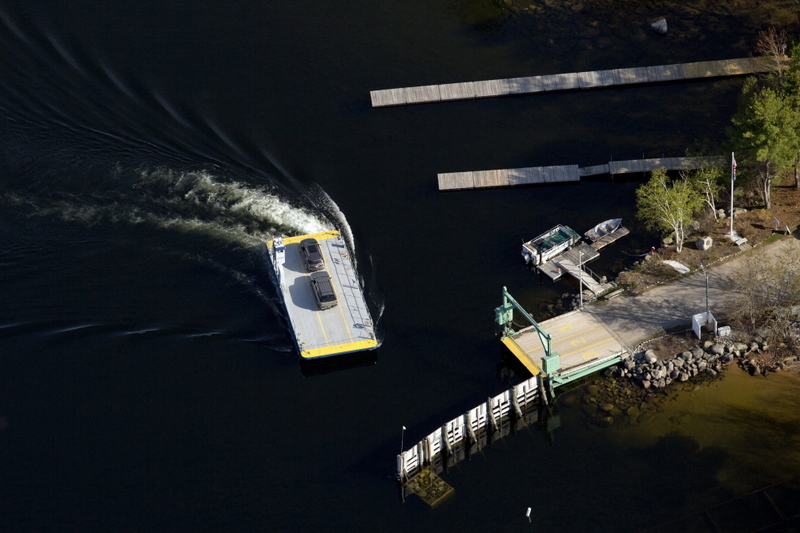 Two seasonal ferries provide transportation to and from the island.